Project CorgiPrice has very specific function: retrieving the prices, in addition to the other eBay trading information, of Corgi die-cast models listed on eBay, and getting the corresponding reference prices from the other online shops, in order to assist bidding (for Suyan, my wife, and my little one). However, developing tiny CorgiPrice involves various C# programming topics, such as web programming (to use eBay API), XML document programming, multi-thread programming and etc. At the end of the day, I found it worth dozens of hours to make wife happy. Also, I feel it worth another couple of hours to share these basic C# programming topics. Suyan, my wife, fancies Corgi die-cast models. She bids on eBay as there are sometime very rare models on the lists and fairly good offers as well. Housewives would feel more productive should they have convinced themselves that they have had really good offer, for an instance, their bidding prices are reasonably lower than the market on-the-table prices. The latter usually comes from cross-referencing the other online shops. Moreover, once there is a long watching list, and the items on the list come to the end very closely in turn, an automatically "cross-referencing" batch work seems very essential for serious bidders, such as my wife. Project CorgiPrice was request by my wife, who could not wait for bidding a list of hundreds of models from a serious eBay Corgi seller. So, CorgiPrice should be capable to retrieve information of items on the list from eBay, including the current bidding price, bid counts, ending time and etc. Moreover, CorgiPrice must also automatically search a reference price from another online shop. These tasks require C# web programming (to use eBay API) and XML document programming. In addition, to do a batch work, reference prices are obtained item-wise by a multi-thread programming. The user interface uses a ListView control to display item information in details. This article is arranged as following: first, eBay API is illustrated. Techniques involved to use eBay API are studied in section Web Programming and XML Document Programming in turn, in addition to the source code snippets of searching the reference price from the other online shops. Multi-thread Programming deals with basic and safe multi-thread programming topics. The last section concludes the article and points out possible future works, to extend CorgiPrice to meet more requests. Source codes and a demo project are included. 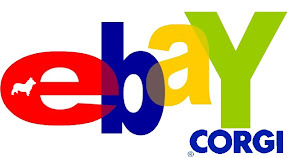 eBay API  is a set of website interfaces providing functions of obtaining/sending bidding items information from/to eBay. There are two main groups of eBay API, Shopping Web Services and Trading Web Services. Shopping Web Services provides only downstream functions, while Trading Web Services allows the third-party programs to list selling items to eBay as well. To use HTTP POST, it requires a set of eBay development keys (register to eBay developers program). The keys include DevID, AppID, CertID, and Auth Token (should you also have an eBay account). Refer to eBay quick start guide  to register to eBay developers program and obtain your own development keys. eBay API is a set of website interfaces, i.e., call methods. Providing a call method, such as GetSearchResults, we need fill in input fields (request) and output fields (response). CorgiPrice uses XML formats to send/receive information to/ from eBay API servers. Details of using eBay API are explained in the following two sections. CorgiPrice uses System.Net assembly to make a call to GetSearchResults of eBay Trading Web Service, using Production (not sandbox) environment. HttpWebRequest object is used to establish a web connection to eBay API servers. The HTTP HEADER parameters include eBay development keys, API versions, call method name, and the site international ID. //Time out = 15 seconds,  set to -1 for no timeout. //Status property set to WebExceptionStatus.Timeout. After inserting input fields (see the next Section) into the HttpWebRequest object, CorgiPrice communicates with eBay API servers by sending the request and retrieving the response (a WebResponse object), and then converts the output fields (of response) into XML format. Item details are parsed by analysing the output XML document. HttpWebRequest and WebResponse objects are also used to search a reference price from another online shop, Diecast Devon . Each Corgi die-cast model has a unique model ID. Professional online die-cast model shop Diecast Devon provides search function inputting the model ID as a key word. Virtually, CorgiPrice uses Diecast Devon search function as a Diecast Devon "API", though, this time, the input fields are explicit in the URL attribute of the HttpWebRequest object. CorgiPrice firstly sends request to the Diecast Devon search web page, then parses the item’s web page link from the search result. After that, CorgiPrice sends another request to link to the item’s web page on Diecast Devon, and then parses the item’s detail information by converting the response into a string object. while (modelSearchCount > 0); // any more data to read? The input fields of eBay APIs can be in XML format. Different call methods have different input filed definitions. The XML nodes indicate the input parameters. For an example, node <Query> specifies the query key words. Refer to eBay API reference pages  for the full input fields definitions of the call method GetSearchResults. CorgiPrice specifies node <eBayAuthToken>, <Query> and <IncludeSellers> as input. CorgiPrice uses System.XML assembly to generate the above XML document. The following source codes new a XML document, generate the XML declaration (<?xml version="1.0" encoding="utf-8" ?>), add a root node and its namespace (xmlns="urn:ebay:apis:eBLBaseComponents"), append child nodes, namespaces, and their inner texts, and convert the XML contents into a byte array for the HttpWebRequest object. CorgiPrice treats the output field (response) of the eBay API as an XML document as well. It extracts the content of a WebResponse object into an XML document by System.IO assembly. The following is an example of the node <Item> of the output XML document, which contains most of the interesting information about an item. CorgiPrice locates root node of the output XML document, then search for every <Item> nodes, extracting the details into an EBayGetSearchResultsNode object. The following source code snippets show how to access an XML node and extract its content (inner text or attribute) while knowing the XML document structure. Refer to eBay API reference pages  for the full output field definition of the call method GetSearchResults. Note that, the node definitions are fixed but not all the nodes would appear in the output XML document. As a result, the source codes include many node existing validations. The content of the WebResponse object from Diecast Devon is a HTML webpage. The content is converted to a string object. The item details are then extracted by basic string matching methods. Refer to the source codes for details. CorgiPrice’s workflow firstly gets item list from eBay, then searches the reference price of each item from Diecast Devon. There are sometimes hundreds of items on the watching list and all of them approaching the bidding end. Moreover, bidding is a real time task. It requires information updated frequently. As a result, CorgiPrice performances searching reference prices as a batch work on a new thread, starting from the item with the least bidding time left, and updating the reference price as soon as retrieving one from Diecast Devon. CorgiPrice uses System.Thread assembly to develop a basic but safe multi-thread task. The new thread is in charge of searching the reference prices and updating the content of a ListView control, which belongs to its creation thread, the main thread. Windows form uses the Single-Threaded Apartment (STA) model which does not allow functions of the other thread to call its controls. However, the call from the other threads to a form’s control can be marshaled to its creation thread by methods such as Invoke(), which makes a synchronous call, and BeginInvoke(), which makes an asynchronous call. For an instance, MainForm Class defines a delegate to the method updating its ListView control. The reference price searching thread updates the ListView control by BeginInvoke the above delegate. Refer to MSDN .Net Framework Developer’s Guide  for details of multi-threaded Windows forms control programming. CorgiPrice is a specific program, retrieving bidding items information from eBay, searching for the reference prices from another online shop, for the sake of assisting bidding. To use the program, input an eBay Corgi die-cast model seller’s ID (for an example, andrewclarkmodels2 is an eBay power seller, who is a very serious Corgi die-cast model seller) to get his/her selling list or set it blank for retrieving all Corgi models on the bidding list. Item’s title, current bidding price, bid counts, end time and time left are listed in a row of a ListView control on the screen. The background thread automatically starts searching the reference prices in terms of the Corgi model ID appearing in the item’s title. Should Diecast Devon’s database have no such model or item’s title contains no match of a Corgi model ID, searching thread returns reference price as zero. To use the source code, register to eBay developer program to obtain your own eBay development keys firstly. Then enter your own eBay development keys in method ConnectTradingWebService() and GetUserListByTradingWebService(). CorgiPrice searches only Diecast Devon website. CorgiPrice uses Corgi model IDs as key words for searching. However, a lot of eBay sellers are not as professional as andrewclarkmodels2 who lists clear information in item’s title. In these cases, CorgiPrice returns no reference price. CorgiPrice should save the item list, especially for those biddings having ended. So that the user can check his/her harvests. CorgiPrice should provide more options to get various lists from eBay, such as a user’s own watching list or winning list. The most Interesting and challenging future works however, I think, mainly occur in the reference price searching task. For an example, CorgiPrice could ultimately get the reference price directly from Google search results, using the whole item’s title as key words. Moreover, CorgiPrice could also expand itself to assist bidding on the other die-cast model brands, or eventually the whole eBay items.